IT’S HERE!!!! THE LONG AWAITED BRUTAL HEARTS BY PAUL NOSACH AND IT’S FULL OF SURPRISES!!!! Sebastian Masters now has a son, naming his child after him and needs the help of his roommate, Jaysen Stripe. Work has gotten in the way, and Sebastian has barely any time to see his beloved boy, unless he’s sleeping or at the breakfast table. Previous PostPrevious THERE IS NO GOING FORWARD WITHOUT FIRST GOING BACK! LEGEND OF THE TIME KEEPERS BY SHARON LEDWITH! 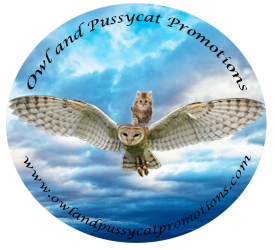 Next PostNext SIGN UP WITH OWL & PUSSYCAT PROMOTIONS AND GET YOUR FIRST 3 MONTHS AT HALF PRICE !!!!! !